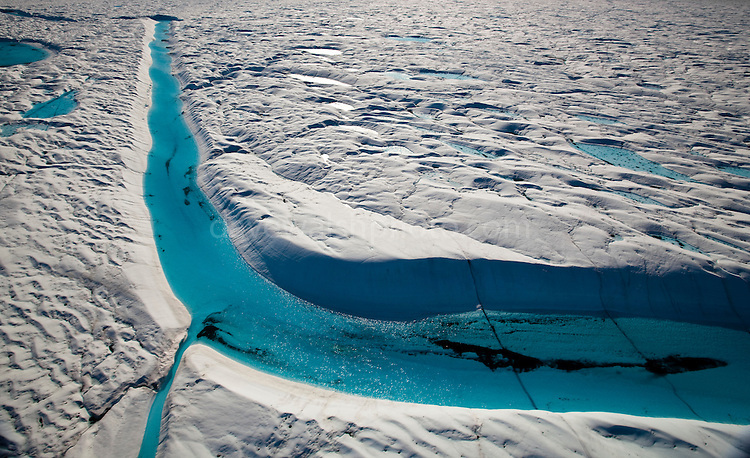 Blue Melt River, Petermann Glacier, in remote northwestern Greenland, on Nares Strait. Photographed during a 2009 Greenpeace expedition to investigate the effects of climate change in the Arctic. In 2010 and 2012 Petermann calved ice islands totalling 400 square kilometres.